Levels of pay for contract professionals get better with age in direct contrast to the rest of the UK’s labour markets where older means lower value, an umbrella company study shows. Having analysed its base of more the 16,000 contractors, Parasol found that contractors aged 45 or over were typically almost £10 an hour better off than their youngest counterparts. In fact, the average rate for contractors aged between 25 and 33 is just £28.68 an hour, compared with £37.21 for those aged 45 to 54. Those in between the age groups got £37.09. But chief executive Rob Crossland said that, like the majority of workers in the UK, contractors as a labour force haven’t escaped the pay squeeze in the last 12 months. 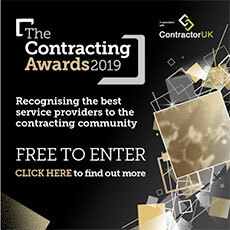 The average hourly rate is now £33.12 – down from £34.41, largely due, Parasol said, to an imbalance between supply and demand and historically high levels of contractor availability. Also in line with the conventional labour market, the contract workforce operates with a pay ‘gender gap’ – the difference in rates between male and female contractors. Based on a working week of 37.5 hours over 47 weeks, the gender gap last year was £2,643 – but this year it has widened, with male contractors better off to the tune of £3,225.